It seems like the world of social media has been awash with buzz over its latest darling – Instagram. The trendy photo editing and sharing site has taken hold of the 18 – 24 crowd, and it currently boasts more than 80 million users. That’s precisely the reason Facebook acquired the social network so greedily a few months back. Keeping their enemies closer, you know? Any time a social networking site catches fire with such quickness, marketers scramble to follow the crowd in an attempt to capitalize on the fad before it fizzles out in favor of the next big thing. Instagram is a social network that’s definitely hit, its stride. The company is in full-peak mode, which is why online businesses are desperately attempting to figure out how to harness the platform to promote their business. And, hey, in my opinion, as long as we’re not talking about spam, scams, or get-rich-quick schemes, what’s the harm in online mom-and-pop shops and the big guns alike getting in on the action to pad their bottom line? If you fit this description and you want in on the action, then read on to uncover how you can use Instagram to boost your business before users flock to another edgy platform that you’ll need to learn how to use (yet again). 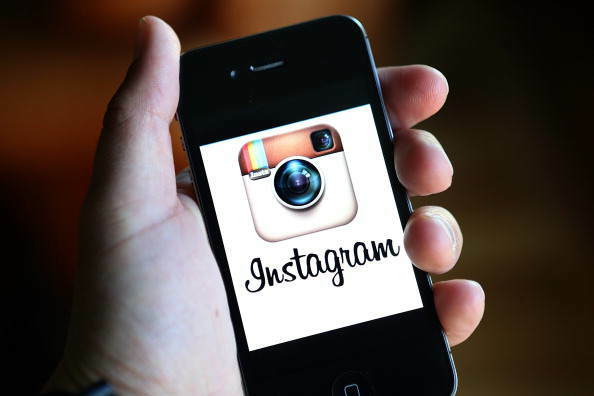 To begin, you’ll need to install Instagram’s free app on your mobile device. Once you’ve done that, register a new account for your business. From there, you’ll be able to upload company photos and use a variety of filter effects to enhance the images you select. Then, you can share your company’s pics with fans in their photo stream. But that’s only the beginning. Instagram has recently introduced what it calls “Profiles on the Web,” and they’re a dynamite way to show off your brand as well as the photos you share on the platform. These new profiles are slick indeed, and they come, complete with a rotating carousel of your company’s most recently shared pics located directly above your profile picture and company bio. When you set up your profile and create a web page for your account, you open the door to a fantastic tool for growth. For example, you can add a “Follow Me on Instagram” button to your company website or to your other social media accounts and link it all to your Instagram profile on the Web. Instagram users can surf through your content, leave comments, like your images, and start following your company right from their Web browser – no smartphone required (although they can use that too)! Your profile will also include an easily memorable URL. To view your company’s spot on the Web, visit instagram.com/[username]. It’s that easy. The official Instagram blog gives the example of Nike. If you want to check out Nike’s profile, you’d type instagram.com/nike into your browser’s address bar and you’d land on Nike’s Instagram page on the ‘net. In this era of online marketing, social media integration is vitally important. You must streamline your online persona and brand your business on the Web so people will recognize your company’s identity across platforms. Interlinking social media networks can be a real pain, but it’s worth it in the long run. Further, sharing your content across multiple platforms will maximize exposure exponentially. Instagram has tried to ease this pain for companies recently. It has added a way for you to share your Instagram content on Twitter seamlessly. Even if your usernames are different for each site, you can now share content between them both. When you share your pics to Twitter, Instagram will now translate @mentions if your Twitter username and Instagram username are different. You must make sure to connect the two platforms so each has the appropriate permissions set for sharing. Once you’ve done this, your Instagram username will show up in the photo caption of your tweet, and your Twitter username will, of course, still appear as the author of the tweet itself. Once you’re properly set up for sharing and you’ve added some cool pictures of your company and products, it’s time to take things to the next level. If you are a product-based business, use Instagram to create a (free!) online catalog of sorts for your fans to browse through, and comment on at their leisure. Another great use for Instagram is demonstrating how to use the products you sell. Sometimes people need a little help with visualization, and if you show your fans how they can improve some problem they’re facing by using your product, then it’s a win-win situation. According to the official Instagram business blog, many bigger companies have launched full-scale campaigns in which they invite users to submit their own content. This has paid dividends as far as social shares and exposure goes – Tiffany & Co., the infamous jeweler, has launched a campaign inviting people to submit pictures of love situations and finish quotes the company starts to prompt user participation. Once you’ve gained enough fans, try out a similar tactic to increase engagement for your own brand. Behind the scenes photo series sets are also a hot trend for businesses on Instagram these days. Think about reality shows – people like to see the inner workings, things they’re not privy to under normal circumstances. If you go public with interesting shots of people working at your company or allow a look into an industry event, for instance, you may gain shares from curious users who want to find out more. Starting a dialogue is the best way to get fans fired up about your brand, simply because people like to be heard and have their opinions taken seriously. Use the platform to learn how to better your business through user feedback, and you’ll find fans come to you – and they’ll do it organically. Nell Terry: is a tech news junkie, fledgling Internet marketer and staff writer for SiteProNews, one of the Web’s foremost webmaster and tech news blogs. She thrives on social media, web design, and uncovering the truth about all the newest marketing fads that pop up all over the ‘net. Find out more about Nell by visiting her online portfolio at Content by Nell.